Apparently basking in the euphoria of the resurgence of the national U-20 team, the Flying Eagles in the ongoing FIFA World youth Championship (AYC) in New Zealand, the Nigeria Football Federation (NFF) said the U-20 team of Germany would not pose any threat to the dream of the Flying Eagles to reach the finals of the championship as they clash in the second round of the championship on Thursday. Chairman of the technical committee of the NFF, Chief Felix Anyansi Agwu told the Sporting media yesterday in Abuja that the defeat of Nigeria by Brazil was a blessing in disguise because it re awakened the desire of the players to play well on the championship which they are competing as African champions. “I think there is no stopping the Flying Eagles. Even though they are playing Germany who are also the European champions, I strongly believe that the team is confident enough to pick the final ticket in this championship. “Our loss in the first match to Brazil was enough to put them back in shape. What happened to them against Brazil was a wake up call which they have heeded and bounced back. They would have been filled with over confidence if they had won that match. With their current form, I do not see them falling to Germany on Thursday. 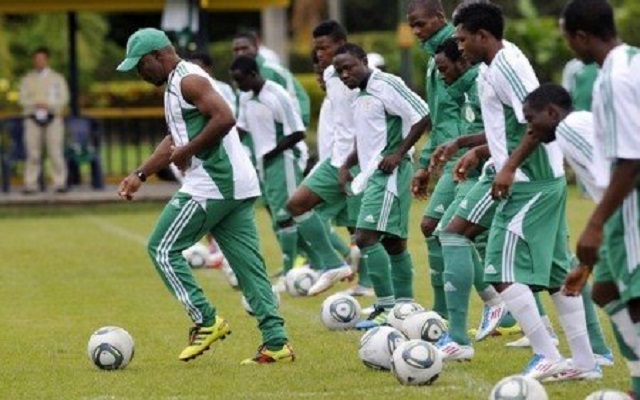 They only have to maintain their form because this is the knockout stage of the tournament.”Anyansi stated. The chairman of Enyimba International of Aba also reacted to the issue of Manchester City player, Kelechi Iheanacho warning that the character he exhibited when he was substituted could not be described as indiscipline even as he insisted that any player could start a game from the bench because all the 21 players in camp satisfied the coach before he selected them. According to him the coaches were right to keep Iheanacho on the bench, because despite the fact that he is one of the best rated players in the team, the fact that he has not been with the team for a long time was enough for him to be on the bench. “Iheanacho is one of the best rated players in the team, but it is obvious that he has been out of the team for a long time. So it is not out of place for him to start from the bench if the coach decides so. He could study the game from the bench and come in to play the role of the joker. I know he has that capacity. Now that he has trained together with his colleagues for some time, I think he can still play the major role that he is noted for in the team. No particular player is indispensable in the team” Anyansi insisted.